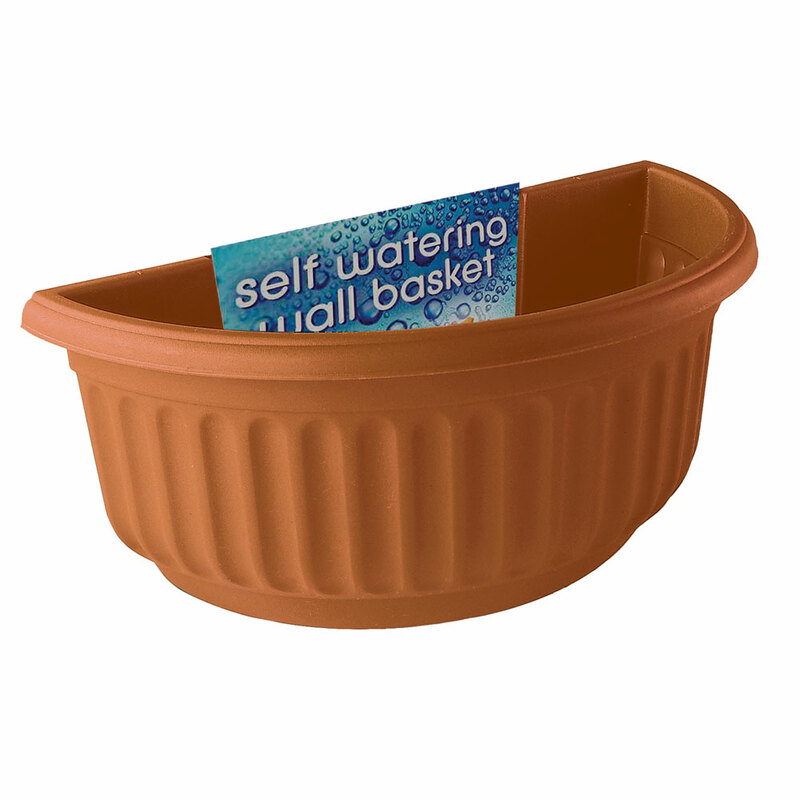 Stewart Garden Corinthian Self Watering Half Round Wall Basket in terracotta benefits from a revolutionary inbuilt self-watering system. 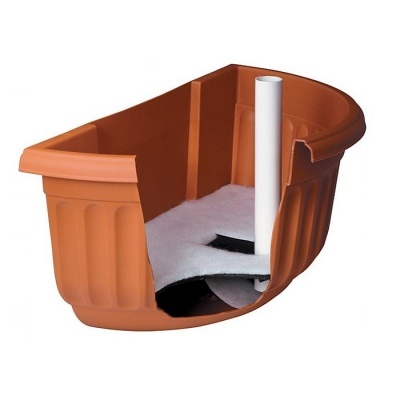 Stewart's unique self watering system ensures that watering plants is kept to a minimum, especially when hung on walls or fences that are difficult to reach. Self watering system benefits from keeping plants watered whilst away from home for periods, ensuring flowers look good throughout the season. Capillary mat tongue draws up water from the enclosed reservoir, providing water to the roots, where it really matters! Base reservoir is easily topped up using easy access downpipe. Corinthian Half Wall Basket is pre-drilled for wall or fence mounting for stunning flower displays. Stewart plastic planters are made in the UK and are UV and Frost resistant, ensuring no colour fade and no brittle or cracked plastic.